"In such circumstances, the further work of the RF Armed Forces' office in the JCCC has become impossible." Russia is about to terminate the work of its representatives at the Joint Centre for Control and Coordination (JCCC) in Donbas. 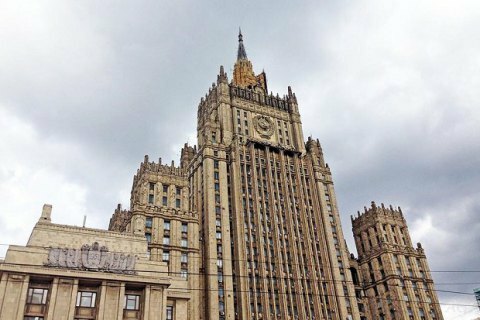 In a statement issued on Monday, by the Russian Foreign Ministry said that Russian officers are leaving Ukraine on December 19 due to the "tense moral and psychological situation" and "Ukrainian servicemen's disrespectful attitude." Russia says that Ukraine "in violation of the agreements between the presidents of the Russian Federation and Ukraine on the creation and deployment of the JCCC, has deliberately created a tense moral and psychological situation for our military personnel and prevented them from fulfilling their official duties." The ministry alleges that Russian officers had restricted access to the contact line, checks on the performance of the service at joint observation posts deployed in the territory under Ukraine's control. Also, the Russian ministry claims that a new procedure for the entry and stay of Russian citizens in its territory, envisaging the provision of detailed personal data in advance to the Ukrainian authorities is in violation of the visa-free travel agreement between the two countries. "In such circumstances, the further work of the RF Armed Forces' office in the JCCC has become impossible. The Russian officers who are members of the Center are leaving Ukraine on December 19, 2017," the statement says.